I have fallen in love with these paper lamps by Sachie Muramatsu. Aren’t they beautiful? I invite you to visit Sachie’s website to see more. Sehr schön – very nice. I want buy one or two lamps. so nice! 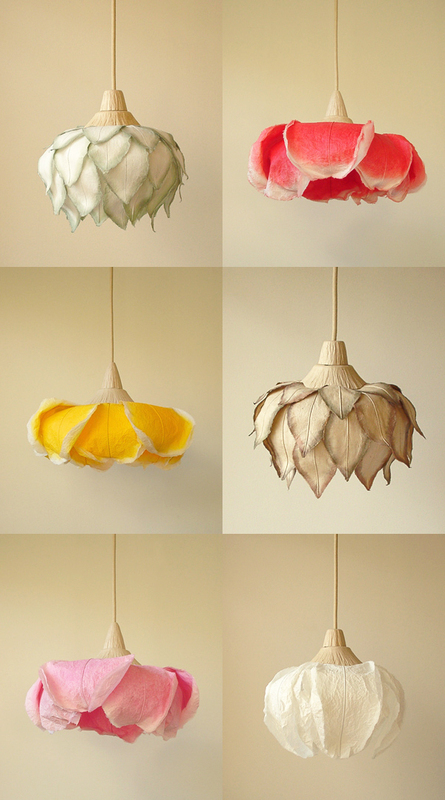 These flower paper-lamps are very, very nice. I`ve never seen. I love it. And I would buy one ore two. I would like to purchase the red color paper lamp, how much is it? Please in advice the product price plus delivery cost (Delivery the product to Hong Kong). What’s the price of these beautiful lamps. We’ve ordered three! Can’t wait……! And search for her name for more!